The memory manager can be accessed after booting the console by clicking on this icon. Make sure there is no disc inserted (or open the lid), else you won’t be able to access items on the PC-FX main screen. From time to time I accidentally formatted the internal or backup memory because I simply forgot what command did what – so be extra careful not to chose format when you don’t want to! The commands are the same as above. Very useful to copy/move/delete just one of the save states. Thanks for the info on how to use this device. I opened it up and saw there was a small battery that was almost dead so I replaced it with a generic 1,5V calculator battery. HOWEVER now I am thinking that maybe this internal battery was rechargeable… and I shouldn’t have replaced it? My guess for the small internal battery is that it holds the data temporarily while you replace batteries. That was a buffer capacitor, a Panasonic Gold Cap (GC5.5V0.10F) – I advise you to replace the battery with the correct capacitor. Thank you for posting this! My games will no longer save, and the memory manager acts like my internal memory is empty. Does the PC-FX have a capacitor to power the internal memory? If so, do you know which capacitor it is on the circuit board and where I can find a replacement? Or, if I install an FX-BMP do I even need to change out the capacitor? 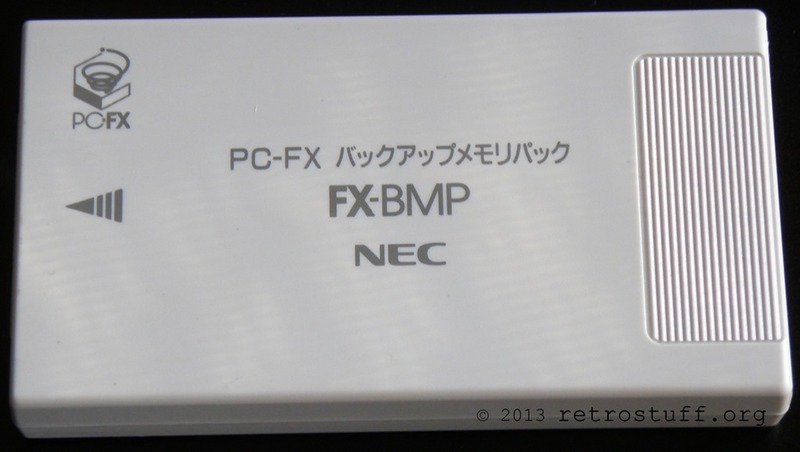 FX-BMP is a backup unit and you’re supposed to move data around with the memory manager. I don’t think that there is a single game that can access it directly. As for the PC-FX, I can’t answer this right now because there is no way I’ll open it up (some impressions can be found here: http://nfggames.com/forum2/index.php?topic=1305.0). You’ll probably have to open it up and look for the memory ic, if it is broken or has a buffer cell/capacitor next to it.